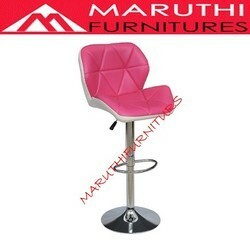 With excellent expertise, we manufacture and Import a quality range ofBar Stools,which are designed using high grade wooden, Wooden with cushion , fibare and latest technology. 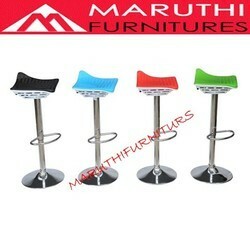 These stools are widely known for their interesting designs and are available at reasonable prices. 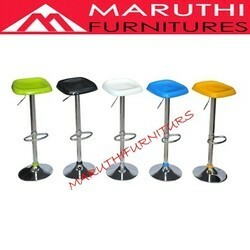 Available in different patterns and colors, these stools are used in different bars and restaurants. These products are available as per the given specifications by our valuable clients. Counter height stool seats range from 24-29 inches from the floor and are perfect for kitchen counters or tables that are about 34-39 inches high. A bar stool seat is about 30-36 inches from the ground and is perfect for counters or bars that are 40-46 inches from the ground. 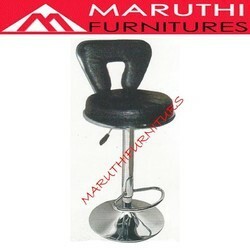 Owing to our strict quality policy, we have been able to bring forth Bar Stool. 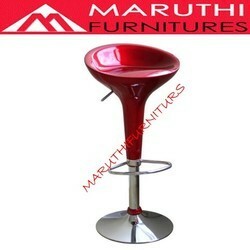 This bar stool is high on demand among customers for its superior quality. 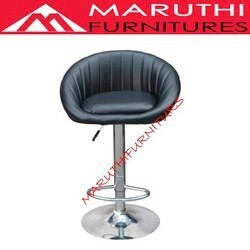 The bar stool provided by us is manufactured from the high quality material and advance tools, in conformity with international standards. 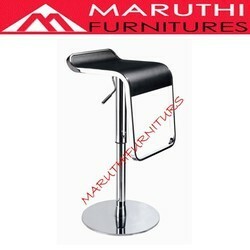 Our offered bar stool is checked on numerous parameters so as to supply a defect free range. Color Silver , Blue , Black , Red. * Seat and Back made from ABS plastic. * Mild steel chrome used in the under structure. 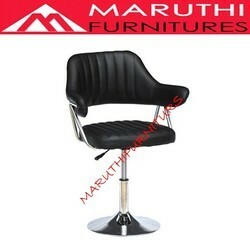 * Wider base to provide comfortable seating. * Gas lift provided to adjust the seating height. * Seat and Back made form ABS plastic.